Got your very own wannabe space adventurer in the house? Well, we can’t help with space travel, but we can help with the next best thing. 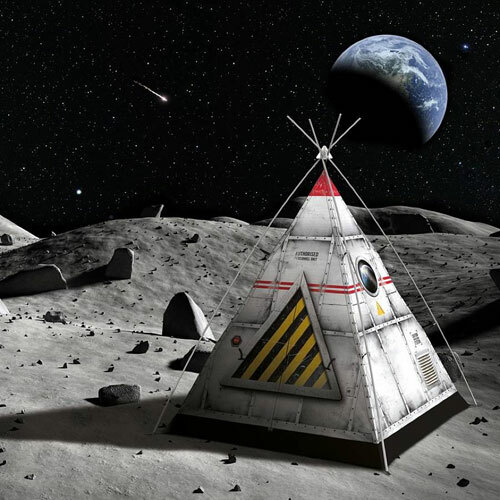 The Blast Off Tent by FieldCandy. 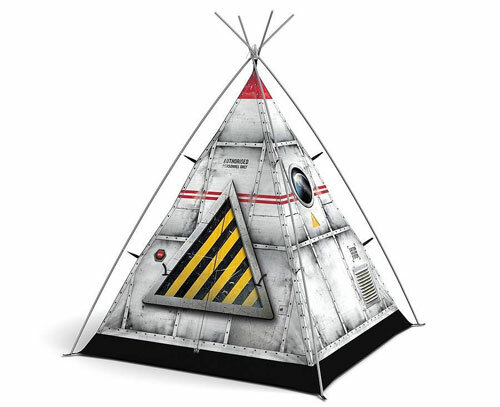 Yes, it’s a tent, one that is modelled on a traditional teepee, but with a twist. That twist being a tent that looks very much like a lunar module. Job done really. The tent is suited for indoor and outdoor use and is easy to assemble and according to the maker, extremely durable. We should hope so at £195.